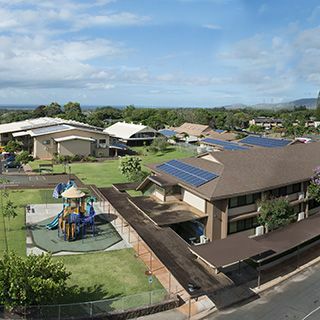 As a School of the Future, technology use is an integral part of the educational experience at Hanalani Schools. A Critical Skill objective is that students learn good citizenship in the digital age; therefore, the use of computers on campus is governed by the “Responsible Computer Use Policy.” All computer usage is subject to supervision, and Internet access is ﬁltered. It is possible, however, that students may accidentally or deliberately access inappropriate material. Both actions have a required course of action (detailed in this policy). Parents are encouraged to discuss responsible computer usage and Internet safety with their children. a. Students may use the computers to fulfill class assignments. b. Students with class assignments will have priority over students who do not. c. Students may not give out their personal username and/or password. d. Students will be held responsible for any violation that occurs under their network account. a. Students will not attempt to gain unauthorized access to the Internet by going beyond their authorized access. b. Students will not attempt to log in through another person's account or access another student's files. c. Students will not attempt to go around the security systems or policies that are in place. d. Students will not make deliberate attempts to disrupt the computer system or destroy data by spreading computer viruses, trojans, worms or by any other means. a. If a student mistakenly accesse inappropriate information he/she should immediately tell his/her teacher. b. Parents should instruct their child, if there is additional material that they think to be inappropriate for their child to access. c. Students will not have inappropriate material in electronic form on them at any time while at school (this includes personal laptops, cell phones, thumb drives, etc). a. Students will not use obscene, profane, lewd, vulgar, inflammatory, racist, threatening, or disrespectful language. b. Students will not engage in personal attacks, including prejudicial or discriminatory attacks. c. Students will not harass another person. If a student is told by a person to stop sending them messages, he/she MUST stop. d. Student will not knowingly or recklessly post false or defamatory information about a person or an organization. a. Students are responsible for their individual account and should take reasonable precautions to prevent others from being able to use their account. b. Students will immediately notify a teacher if they have identified a possible security problems. The teacher will notify the Technology Coordinator (TC) or NetDiv immediately. c. Students will avoid inadvertently spreading computer viruses or knowingly putting a computer at risk (by sending, opening, or running software from an untrusted source). a. Students will not post personal contact information about themselves or other people. Personal contact information refers to home address, telephone number, last name, school name, school address, work address, etc. b. Students will not agree to meet with someone they have met online without their parent's approval. c. Students will promptly disclose to their teacher or other school employees any message they receive that is inappropraite or makes them feel uncomfortable. a. Plagiarism is taking the creations of others and presenting them as if they were your own. b. Students will respect the rights of copyright owners through proper citations. c. Students will not re-use text and pictures found on the Internet without proper notations. This includes pictures from "image searches." d. Students will not re-publish text or pictures found on the Internet when the owner's copyright forbids such action. c. Student will not post pictures or videos of others on the Internet without their permission and knowledge. a. Students may use the network for educational purposes and/or class assignments. b. Students will not post chain letters or engage in "spamming." Spamming is sending an annoying or unnecessary message to a large number of people or sending many messages to one person, slowing down the network. c. Students will not download large files and streaming media. a. Students may use the Internet to access or search for information to fulfill class assignments. b. Students will have limited access to the Internet. c. Students will ONLY use their personal username and password. Students in grades 5-12 are on a Bring Your Own Device (BYOD) program and are transitioning to e-textbooks. 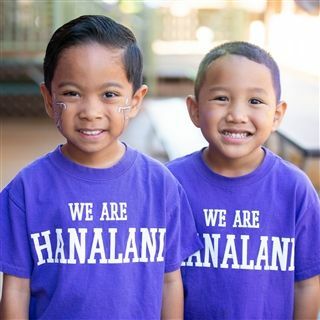 Content will be restricted to standard Hanalani Schools network policies and will be filtered through the school's network and not through personal means. Due to personnel restrictions, the school will not troubleshoot problems. Additionally, the student assumes the liability of any possible cases of virus or theft. In the event of inappropriate content, students may have their internet usage revoked and electronics confiscated. a. The school will cooperate fully with local, or federal officials in any investigation related to any illegal activities. b. In the event there is a claim that a student has violated this policy, the student will have an opportunity to be heard by authorized personnel. c. Additional restrictions may be placed on a student's user account. a. 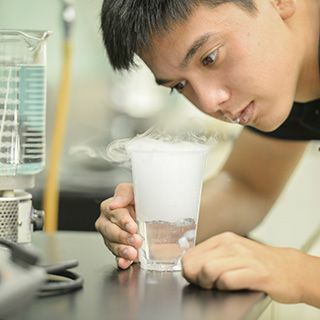 The school makes no guarantee that the functions or the service provided will be error-free or without defect. b. The school will not be responsible for any damage a student may suffer, loss of data, or interruptions of service. c. The school will not be responsible for any financial obligations arising through the unauthorized use of the network. 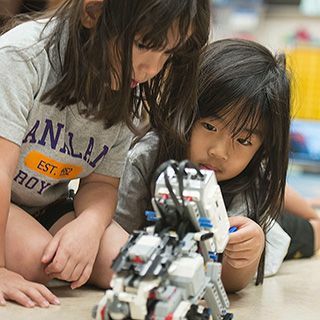 d. A student and his/her parents can be held financially responsible for any harm to the network as a result of the student's intentional misuse. a. Students are expected to learn and abide by generally accepted rules of Internet network etiquette: Common courtesy, politeness, the avoidance of vulgar language, etc. b. Students will not assume that a sender of an email is giving his/her permission for the student to forward or redistribute the message to third parties or to give his/her email address to third parties. c. Students will report any cyber-bullying to a teacher immediately. d. Students will not participate in electronic activities that would be considered cyber-bullying, including posting negative remarks about a person, defaced photos of a person, or similar actions. b. Access to technology or the Internet will be temporarily or permanently revoked. c. Upper School students may receive up to 100 demertis and may be suspended or expelled. f. Personal technology devises may be confiscated. a. Students may send print jobs to the Library printer. b. The cost for printing/copying in black and white is $0.10/page. Color copies are $0.35/ page. a. Students should expect only limited privacy in the content of their personal electronics and files. c. An individual search will be conducted if there is reasonable suspicion that a student has violated the policy or the law. d. Parents have the right at any time to request to see the contents of their child's account. c. Parent's agreement to release the school of damages caused from their child's misuse of equipment. a. If a school computer is not working properly, notify the teacher immediately. b. Report all software or hardware issues immediately to the teacher. c. Report ALL objectionable material to either the teacher or TC (help@hanalani.org). d. Technical questions should be directed to the TC (help@hanalani.org). ALL NETWORK TRAFFIC IS MONITORED AND LOGGED. Users are required to obey all laws (local, state, federal, and/or international, including criminal, copyright, privacy, defamation, and obscenity laws, and any other laws not mentioned here). 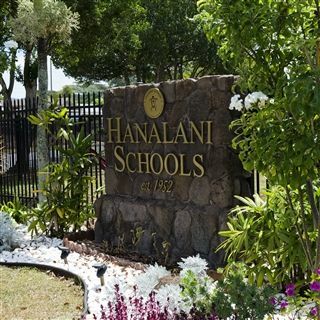 Hanalani Schools will render all reasonable assistance to local, state, or federal oﬃcials for the investigation and prosecution of any person or persons using Hanalani Schools technology in violation of any law.